For owners of second homes in the UK or holiday homes abroad there is often a dilemma to face. It´s nice to leave a property empty so you can use it whenever you wish to, but an empty property can soon deteriorate, need expensive maintenance and will still cost money whether for the mortgage or general utility costs. This is why many owners choose to rent out property in order to at least cover the running costs, and if possible to earn an income from the rent. But this in itself can pose a dilemma – should you rent out a property long term or offer it for holiday lettings and short breaks? The house in our case study is located on the Costa del Sol in Spain and was running quite happily as a long term rental to local ex-pats. This story may be familiar all over Europe as unfortunately the tenants had to move back to England due to the economic woes in Spain. In doing so they left suddenly and had made a real mess of the house. This gave rise to the owners dilemma and was the reason that he contacted Rental Tonic. We often hear of how properties are badly treated by long term tenants, but owners may be happy to take the risk as it is “less hassle” than holiday lettings. They worry about handling rental enquiries, the weekly changeovers and the rest of the work that goes with it. Another key question is “how much can I earn from a holiday rental?” as a general rule (and even though there are many factors) a holiday let can bring in the same income for a week as a long term rental would bring in per month, so even without renting every week in the season can be a very interesting proposition. Our house had been left in a state by the long term tenants. It needed repairs and decoration but also needed money coming in to pay for it. Also the Owner wanted to be able to use the house himself, so he was reluctant to let it go for long-term rentals again. We talked through the pro´s and con´s of holiday letting and also had a good think about what kind of market to aim for. Choosing the right niche market can be key for successful holiday lettings. 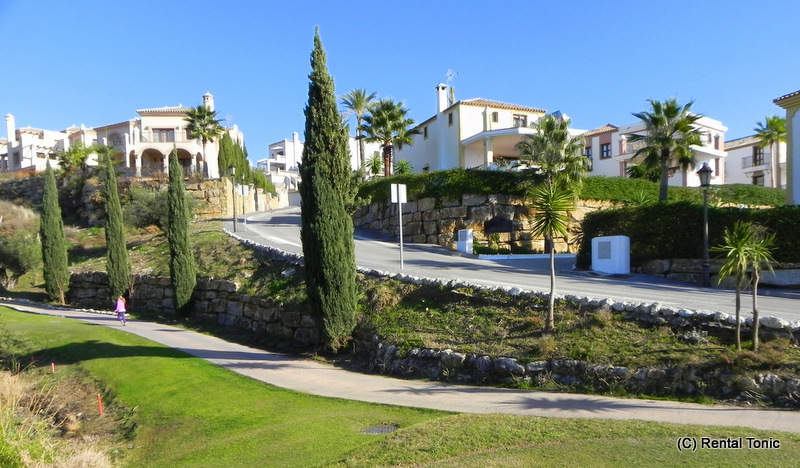 For our house we considered two options, the first being Golf Holidays; the house is within easy access of dozens of golf courses on the Costa del Sol, so this would be an obvious choice. Having 4 bedrooms means larger groups of up to 8 adults could share, so it is certainly an option. However Golf holidays are very seasonal and in order to make the repairs and renovations needed to the house, the Owner needed to have some rental income coming in quite soon, so with Summer around the corner we decided to look at other options. The family friendly market seemed a good choice. The house was already well equipped having been the home to a young family, plus it was surrounded by some fantastic attractions for families on holiday and close to the beach. By catering to families in the Summer there was still the option to aim for golfers in the Winter and get some year-round bookings. This can work in other niche markets too; I know one owner who runs mountain biking holidays from her Andalusian villa in the winter then switches over to the family market for the summer holidays when it is too hot for cycling, and in areas with seasonal events then it may also be possible to aim for a “niche within a niche” to take full advantage. So having completed a “Remote Assessment” with the Owner by phone we had an idea of our target market as well as the level of quality and value we wanted to offer. The next step was to arrange a House Call so we could look at the house properly and come up with a plan of action to get it ready for paying guests. Find out more about what was in store for this house in the next article: Holiday Lettings Case Study Part 2 – Action Plan and sign up for our e-Newsletter to get future updates direct to your inbox.